Here is a little but more about me and gift giving in my house! 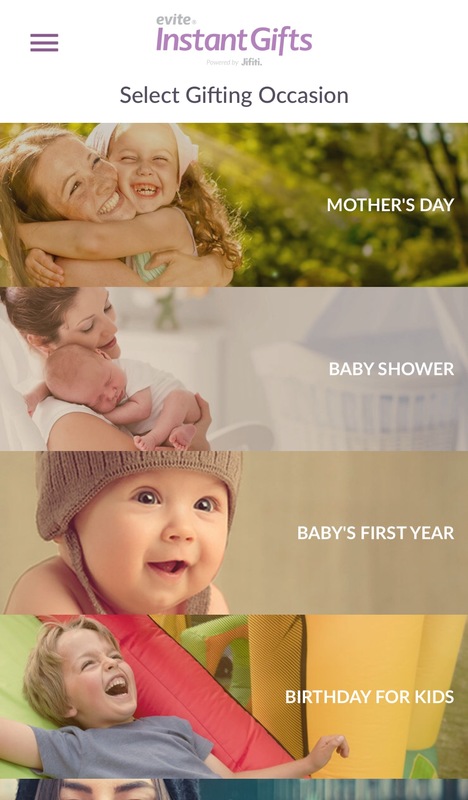 There always seems to be an occasion just around the corner and this time is it mother’s day. Are you ready? 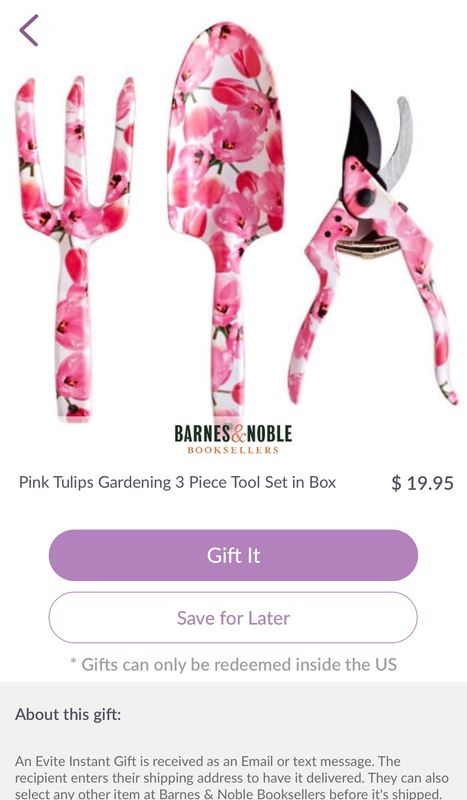 If not let me help you with gift giving this year, be it for your mom, your mother-in-law (am I right!?) or another mom in your life. For those of you who do not know, I am a New Zealander living abroad in the United States. I’ve now been away from NZ for 20 years and I love to move cities every few years. As a family, we’ve lived in several American cities now and have friends scattered across the nation. You too may also live far from friends or family, maybe you moved for study or work. I find because I live so far from most of my friends and family, letting them know I care and I’m thinking about them is really important. I tend to do this via giving gifts (driving hubby crazy), I try and be as thoughtful as possible, picking things out personally and sending a lovely note saying I am thinking about them and why I thought they might like a particular gift. I have to admit though, I tend to spend to long doing this or leaving things to the last minute. So logistically my gift giving can be quite challenging. Gifts can be late, mall hopping can be unsuccessful, it is time consuming and don’t get me started on if I get it wrong and there needs to be an exchange. It is a total pain if I get a size wrong or buy something someone already has. 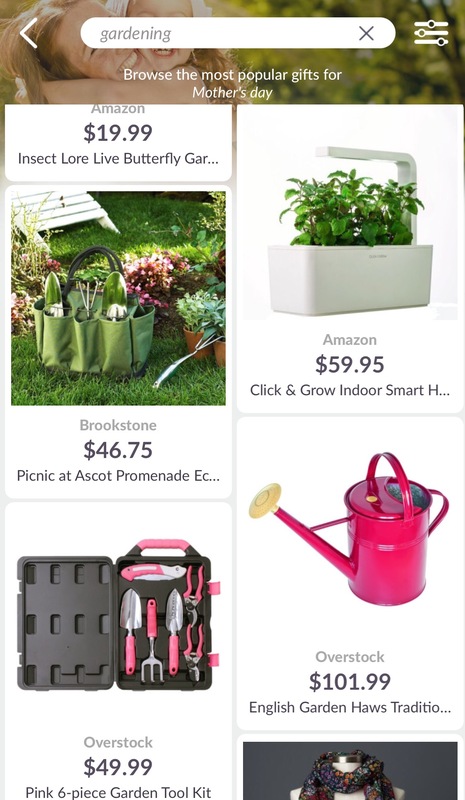 The fact that shopping has become more online based has been great for me and I’m always looking for sites I can go to that make this as quick and easy as possible. Lucky for me as an Evite influencer I’ve been privy to new developments on their site. One of them being instant gifts. 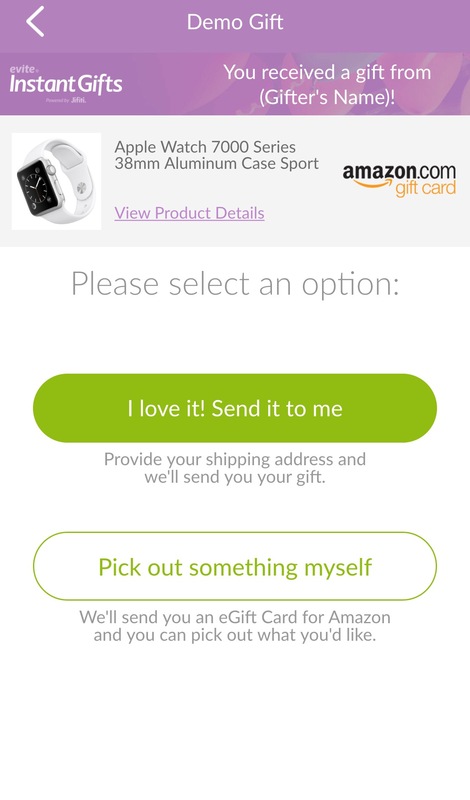 Instant gifts you say? What are those? Well they are seriously a life saver in our house and quite seriously instant! I’m super excited to be able to share them with you and why I like them so much! 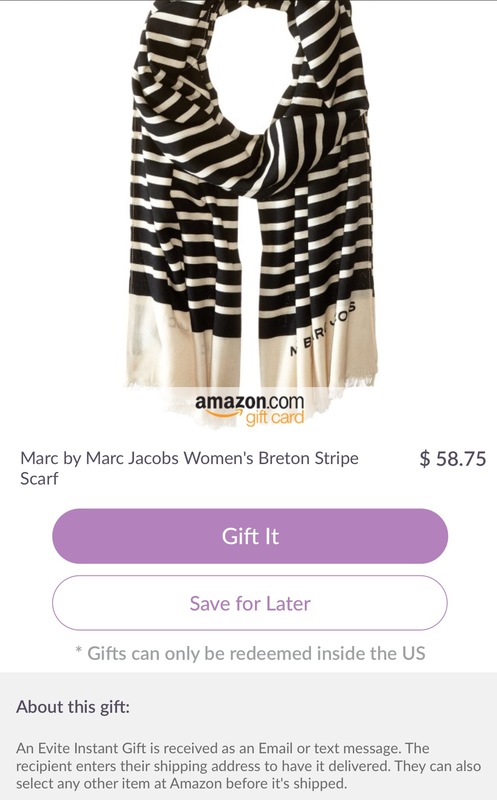 With Mother’s Day coming up, it’s the perfect time to walk you though it, as I used Evite Instant Gifts to get my best friend in New York a gift. She is a new mom and I wanted her to know I was thinking about her as well as giving her something that she could use to treat herself on the day, something relaxing! 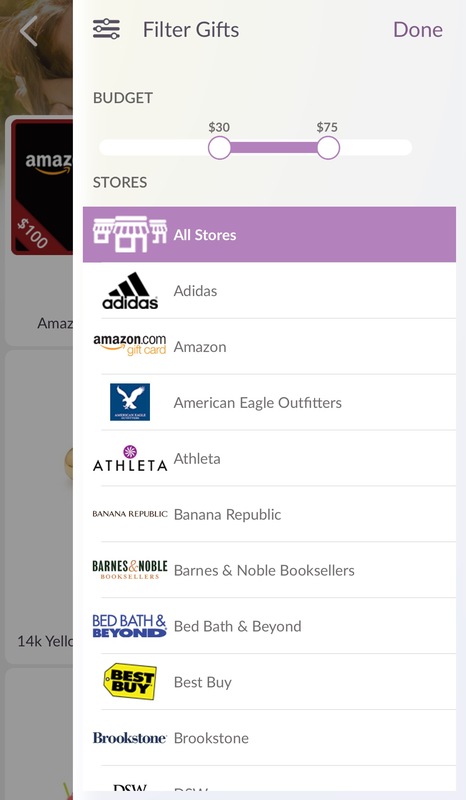 First pop over to the iTunes app store and download the “Evite Instant Gifts” app on your phone, then I can walk you through how I used it (you’ll see what a great selection they have). If you haven’t downloaded it yet, never fear, I’ve included screenshots. *Note: It is only available for IOS at the moment. I was able to narrow the options down by filtering. 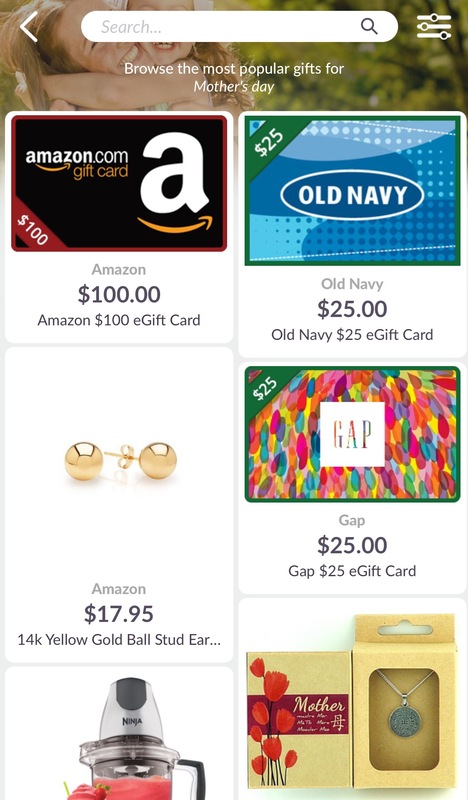 There is a budget, store and brand filter in the top right hand corner (this is particularly good for finding a gift card from a store your mom might love), I found it pretty cool because it is like a volume button. There is also a search bar at the top. 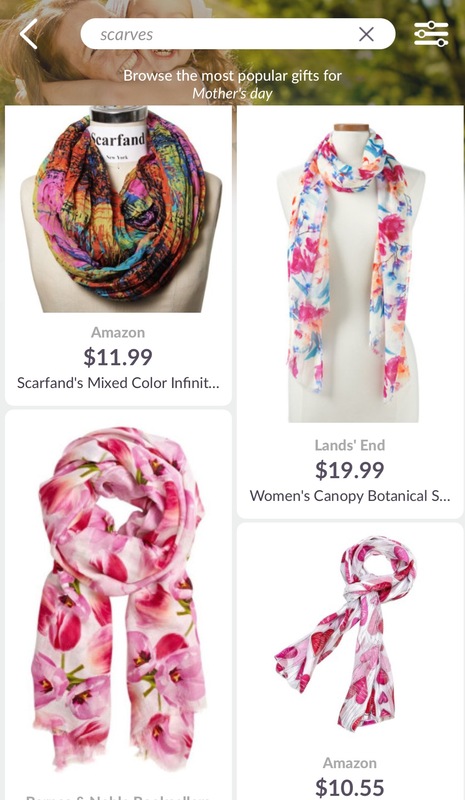 I was able to put things like scarf, gardening and bath into this and it came back with a list of things (with pictures) to look through, this was great as I focused on things I knew she liked. 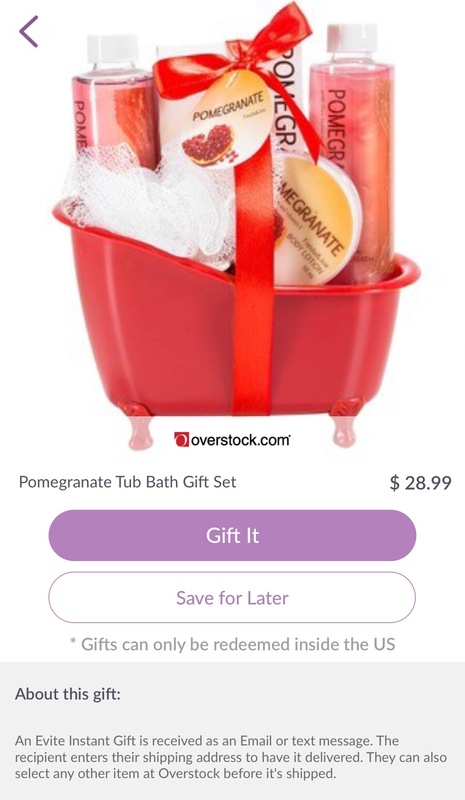 I finally settled on a relaxing bath set that was perfect. 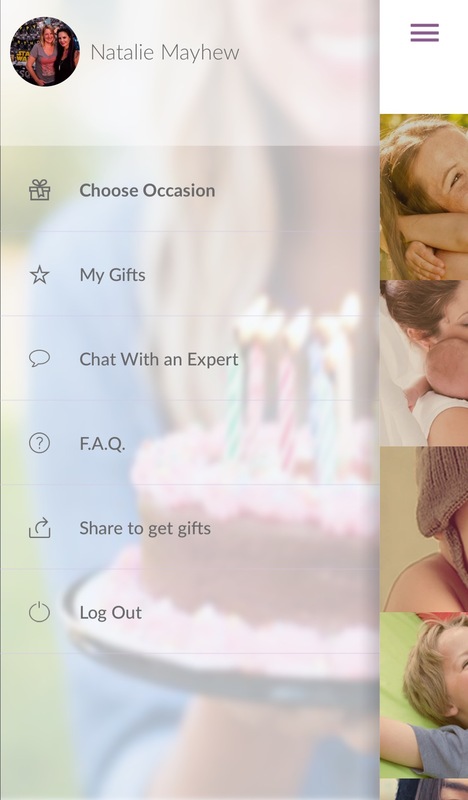 If you want to see what it will look like when your mom gets the gift, you can actually get a demo on how it will look. 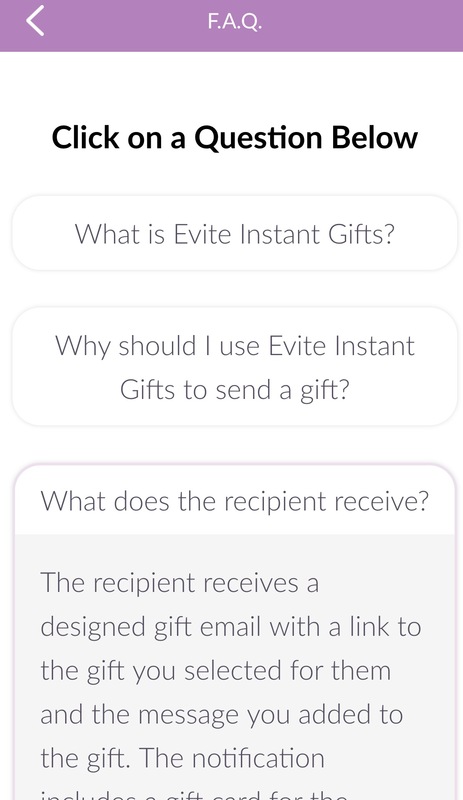 Go into FAQ via the top left menu and select “what does the recipient receive”. You’ll find answers to other questions here as well. I of course had to check – control freak much?!! And it’s like receiving a gift yourself! I was able to make sure it was as pretty as I wanted it to be. 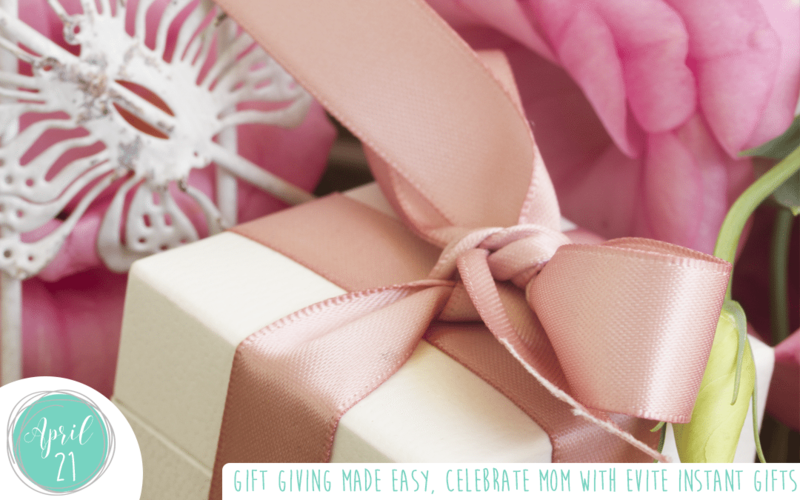 It is, your mom will get an email that has a gift box to open and the card looks like a real card. Very happy. I could also se in the demo that my friend would be able to either accept it or pick something else. So if I had got the wrong scent for example or had bought clothes that didn’t fit, she could exchange it for something more appropriate or get a more flexible gift card. Winner winner chicken dinner as my cheesy hubby would say! 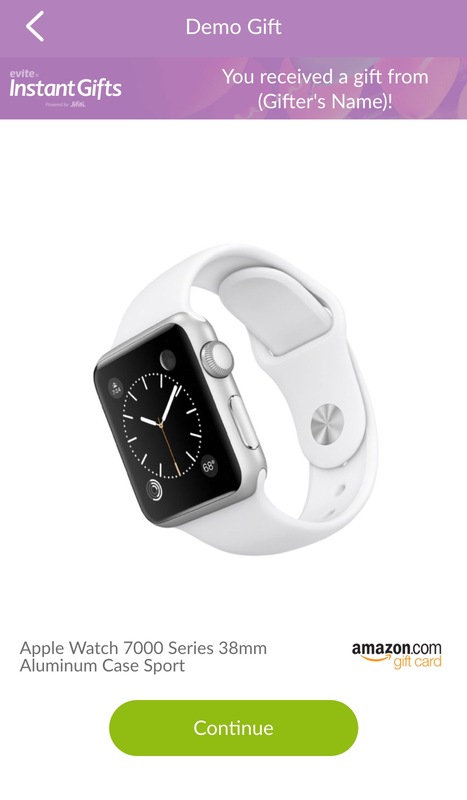 So back to me and buying this gift. 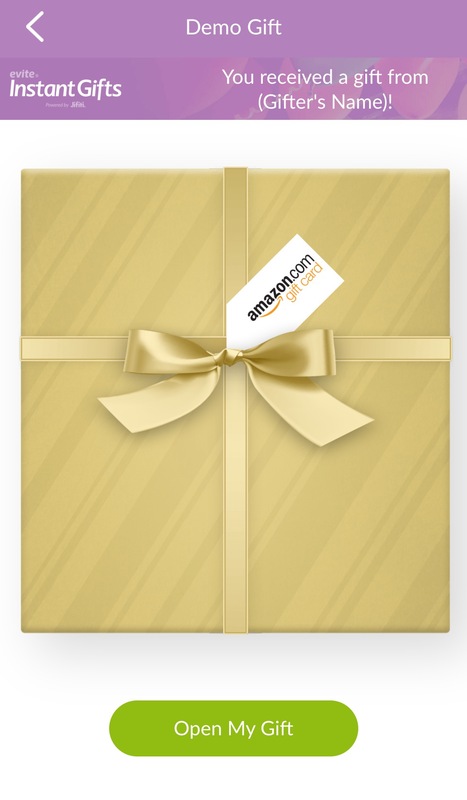 I then selected “gift it” to send it off (or put it in my card I guess) and the best bit was I didn’t have to worry about giving away the surprise by asking for her postcode or some other address update (I don’t know many addresses these days as everything is via Facebook or email!). 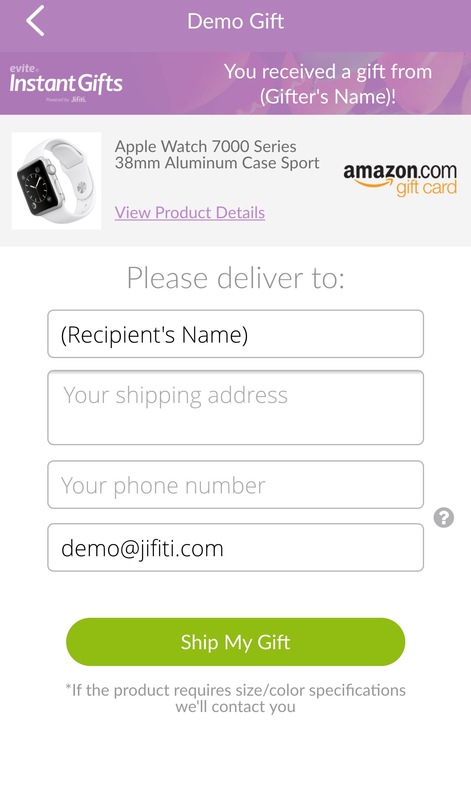 Evite asks the person you are sending the gift too for the delivery details and phone number. Yay! So all I had to do was write up my note and give the date I wanted it sent… I’ve delayed it to arrive on Mother’s Day but procrastinators rejoice, you can send it immediately! It was super simple and I was able to pay by either PayPall or credit card. Another thing that I thought was brilliant (and might give you a giggle) was that you can “share the app” from the main menu on the left. Don’t like the gifts you’ve been getting? Talk about sending a great big hint to “shop here please!”. Perfect! 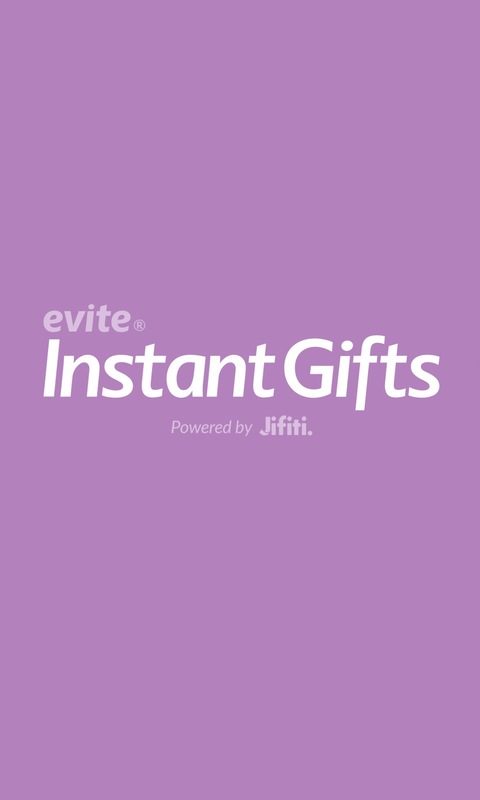 So if you’re looking for that perfect gift and want the flexibility it provides for exchanges, check out Evite Instant Gifts and have it arrive before you have time to even close your laptop. Advertising Disclosure: Fern & Maple may be compensated in exchange for featured placement of certain sponsored products and services, or if you click on the links posted on this website. All views and opinions are 100% my own. I love instant gifts! Evite has so many options too! GREAT post! 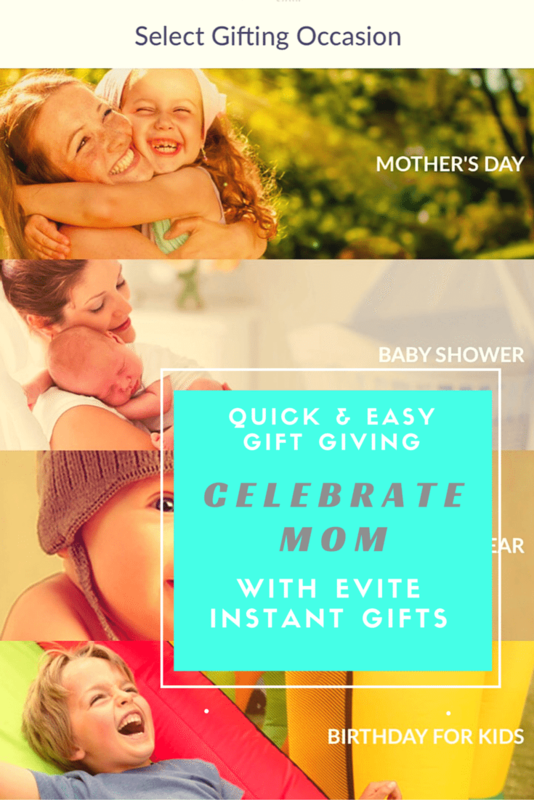 Love all the awesome gift ideas from Evite! This is a cool idea! Seems easy and effortless!! So many things I am now adding to my wish list! What a great bunch of ideas! This is such a good idea!! Facebook used to do something similar and I was so sad when they stopped. 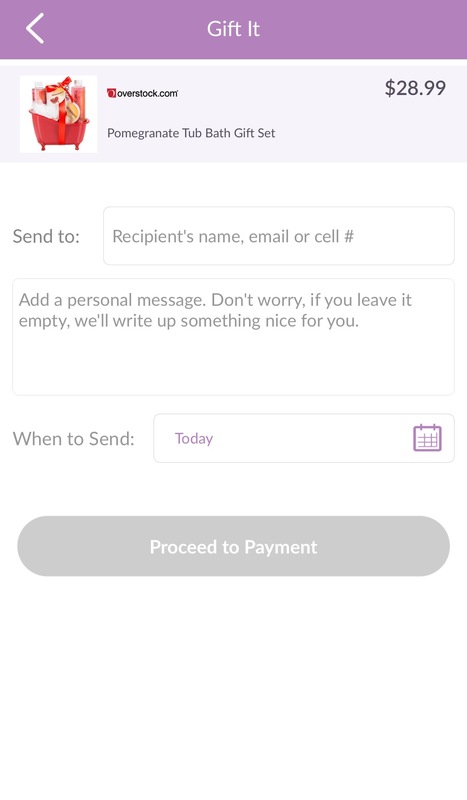 I’m over the moon excited to know I can start sending instant gifts to my friends once again. Happy day!